Don’t send your shanks to the grinder! 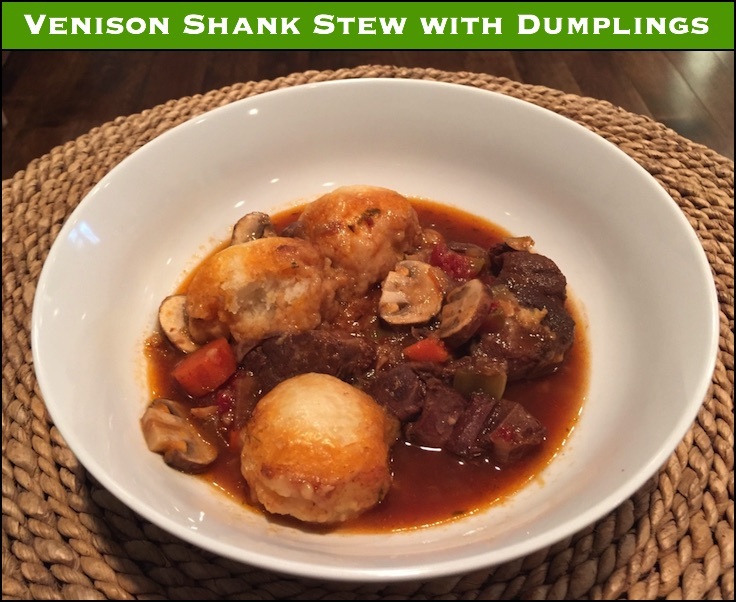 A slow cooked stew with venison shanks will taste way better than any hamburger – and make fuller use of the shanks as well. Get as much meat off of them as you can and put it in the grinder. Slow cook them cut up into little disks. Grinding them is a waste of time, unless you also grind all the tendons too. But who wants that in their burger or sausage? By the time you separate the meat out from everything else, you’ve lost a lot of time for a little meat. Cooking them whole, in some slow roasting recipe works too. But shanks are long, so you will need a big, wide pan/roaster to handle them. And by NOT cutting them, it takes longer for it to break down and those good flavors to cook into the meal. Slicing them into disks can be a pain, but you get the most meat and flavor for the amount of effort. 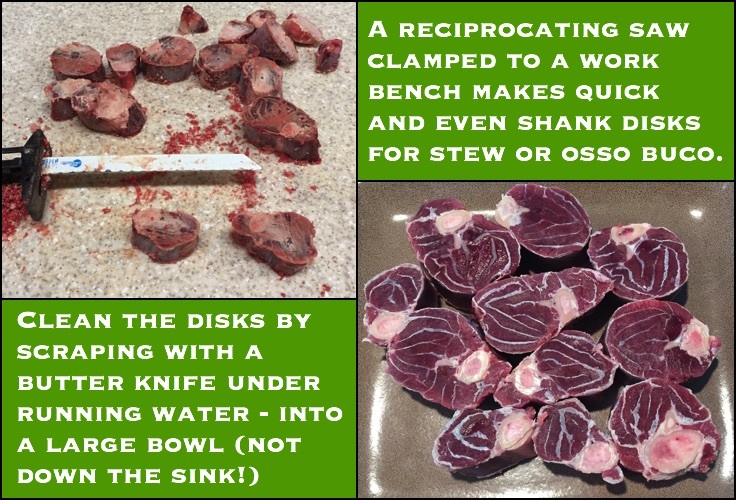 By cutting the shanks into slices, you are increasing the surface area exposed while cooking, which will enhance the flavors you get from the marrow and connective tissue as it slowly cooks down. I know, I know, EVERYONE says that makes for a gamy venison meal. 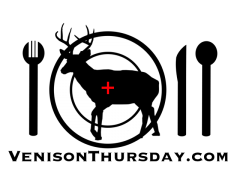 Well, that is a vicious rumor spread by the pro-bambi team. 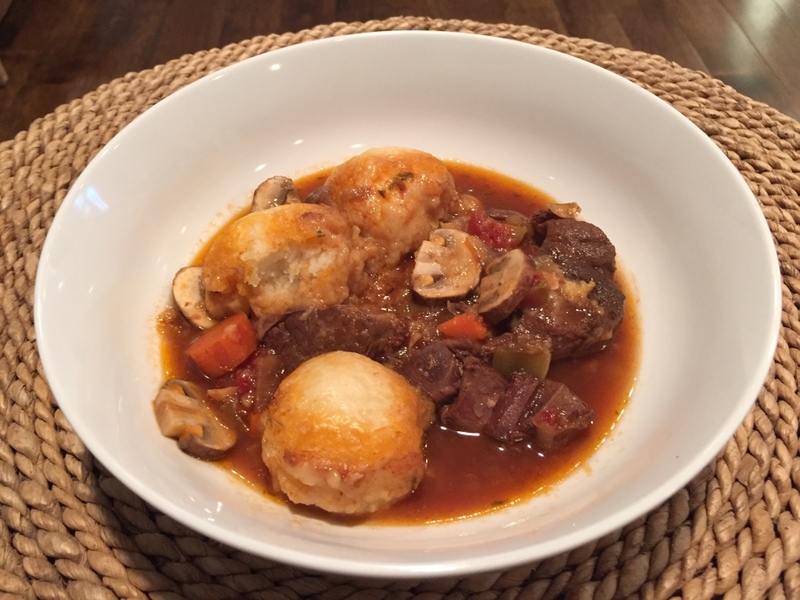 Fat can make venison taste a bit funky sometimes, but bones and connective tissue will add flavor, nutrients, and richness that will make your venison meals even better. WARNING: Power tools are dangerous, blah, blah, blah. You are solely responsible for anything that happens if you follow the steps below, including cooking a great meal, or losing any fingers. Please don’t cook the fingers. Put a 6 plus inch blade on the saw that has some moderately aggressive teeth. If you use a metal cutting blade, the teeth are so small they get clogged with bone and stop cutting. A blade that is only good for wood may dull too quick, but should get you through at least one set of shanks. A demo blade of some type is what I usually go with, but anything you have on hand should do in a pinch. Lay the saw down on its side on a work bench, and clamp it down with the cutting side of the blade facing you. I use multiple quick grip clamps. My saw has a few flat spots on the body and handle, so this works well. If your saw is shaped differently, you may have to get creative. My saw narrows a bit where the saw blade mounts, so I can slide a cutting board under the whole blade assembly. 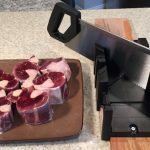 You can control the thickness of the cut by mounting the saw on or off the cutting board itself. Turn the saw on, hold the shank vertically and slide it through the blade. Set the disk aside and repeat. Keep an eye on the clamping assembly. If anything loosens up, take appropriate measures. Frozen shanks are COLD. Doubled up nitrile gloves work pretty well to protect your hands. Shanks are a bit of a pain to cut if you don’t have access to a butcher’s bandsaw. A manual saw can work in a pinch, but the easiest, fastest, and cleanest way is with a reciprocating saw clamped sideways to your work bench. Once your shanks are sliced and clean, they will need a little time to defrost. Give them a light coat of olive oil, and generously dust with garlic powder, salt and pepper. Prep them the night before, or plan on letting them defrost for a few hours before cooking. In a cast iron dutch oven, heat some olive oil over medium heat, and brown the shanks on all sides. You’ll need to do this in batches, set the browned shanks on a plate to the side. With the shanks removed, add more oil if necessary, and sauté the vegetables until they are tender, about 5 minutes or so. Add the diced tomatoes, tomato paste, wine, soy sauce, and sugar, and bring to a simmer. Add the venison, and cover with stock. Add the bay leaf and sprinkle some thyme over it, and bring back to a simmer. Cover the dutch oven, transfer to the oven, and cook for about 3 hours, or until the venison becomes tender and starts to easily fall off the bone. In a food processor, add all the dumpling ingredients except the milk. Pulse until thoroughly mixed. Slowly add the milk with the processor running, and run it till the dough comes together. 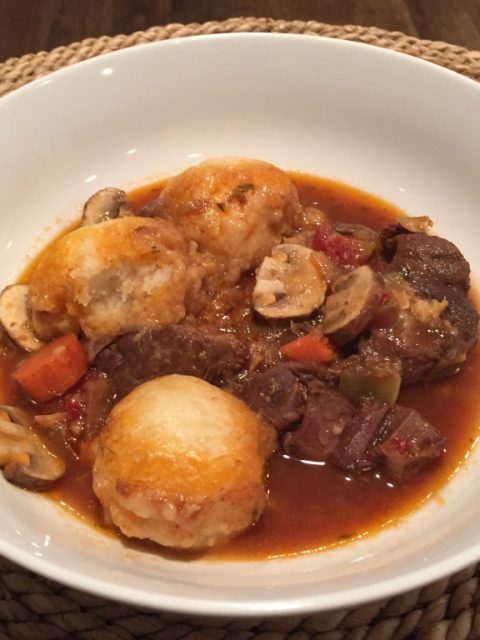 Form the dough into golf balls, and drop on top of the stew. Cover and cook another 15 to 20 minutes, or until the dumplings are thoroughly cooked.